A Catholic priest, Rev. Fr Philip Jamang, has described the rejection of Bishop Peter Okpalaeke by some members of Ahiara Diocese, Mbaise, in Imo, as a “disgrace” to the Catholic Church. Jamang, Parish Priest of Church of Assumption, Chongo Pyel, Jos, told the News Agency of Nigeria (NAN) that it was particularly wrong for some priests to support those against a Bishop appointed by the Pope. “Their action is strange; it is an insult never heard of in the Catholic Church,” he said on Monday in Jos. NAN reports that Ahiara Catholic Diocese has remained without a Bishop, more than four years after the death of its pioneer Bishop, Rt. Rev. Victor Chikwe, after the rejection of Okpalaeke, who was appointed and consecrated in 2012. 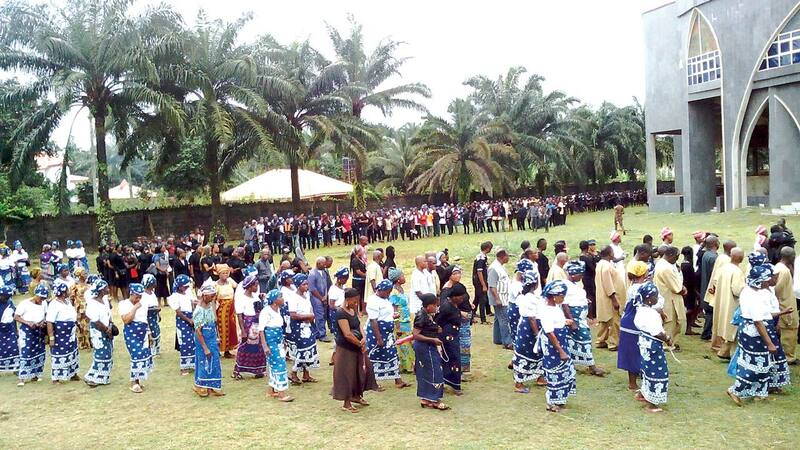 Sources indicated that a section of Mbaise priests, supported by a segment of the laity, had remained opposed to Okpalaeke, citing clannish differences. In May 2017, the Pope gave the Diocese a 30-day ultimatum to accept Okpalaeke and apologise over their unruly behaviour to him, or face sanctions. The ultimatum expired last month without compliance. Jamang, while reacting to the lingering disagreement, said that the action of the priests and the laity had demeaned the Catholic Church and the sacred place of the Pontiff. “The Catholic Church is a united entity known for sanity and dignity. If today some sections of the Church, including priests in Ahiara, are rejecting a Bishop on the basis of clan, then something is really wrong. “Most of the Bishops are not natives of Dioceses where they serve. Bishop Ignatius Kaigama of Jos, for instance, is from Jalingo in Taraba. Bishop Mathew Kukah of the Sokoto Diocese is from Kaduna State. “For any Catholic faithful to insist that his or her Bishop must be a native of the area he is posted, is very odd and strange,” he said.